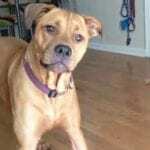 If your dog is an escape artist and you're worried about them running off and getting lost or hurt, a wireless fence may be the answer to your problems. Not only will it keep your dog contained, but it'll save your yard from having to have an actual fence, which can be an eyesore. However, there are hundreds of different wireless dog fences to choose from, and it can be difficult to find a high-quality one to suit your needs. 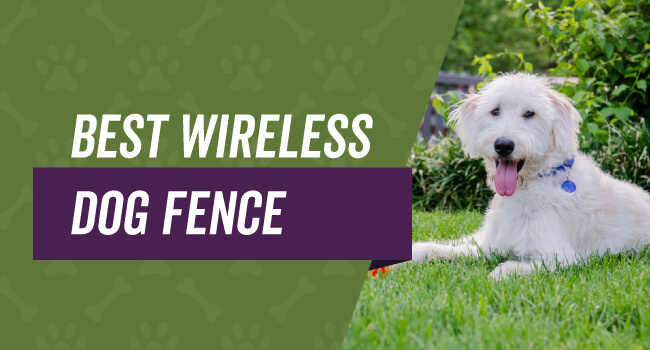 We're going to give you comprehensive wireless dog fence reviews along with the criteria you want in your next wireless fence so you can ensure that you're choosing the right product to contain your canine escape artist. Traditionally, there are two different types of dog fences and they fall into the wired or wireless categories. Both types of dog fences work with the aid of a special collar, but there is one big difference. A wired dog fence will require you to bury a wire around the boundary you want your dog to be able to roam in. If said dog crosses the buried wire boundary, the collar will beep to warm them, and give them a light shock if they don't get back inside the perimeter quickly. 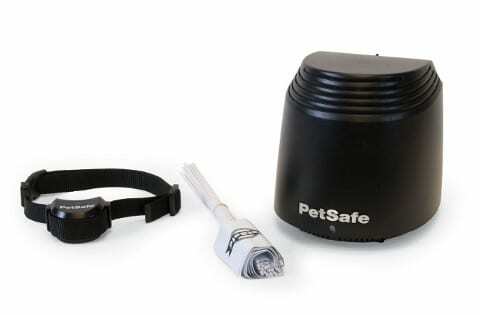 A wireless dog fence also involves using a special collar, but you don't have to bury a wire. Instead, you place the collar's transmitter inside of your home, and it creates a boundary for your dog to roam around in. If your dog goes outside of the permitted area, the collar will give them a shock until they get back in the boundary. So, the main difference between a wired and a wireless fence is the fact that one requires you to bury a wire to set the boundary physically, and one requires you to turn on a transmitter, and it sets the boundary. Now that you're aware of the difference between a wired and a wireless dog fence, there are a few important things you have to consider before you buy one, especially if this is your first wireless fence. Your wireless fence comes with a few limitations, and these limitations may impact how you choose your next fence. You have to decide just how big of an area you want to give your dog to roam around in. Your wireless fence will only allow for so big of an area, and you really can't reshape it or adjust it to your liking. This means you may end up moving the transmitter, so it's in the center of your chosen containment area. There really are only two options when it comes to your battery, and they are normal batteries and rechargeable batteries. It all comes down to personal preference, and if you don't mind changing batteries every once in a while, normal batteries may be the better choice. If you want a more convenient battery, you may want to go with the rechargeable ones. However, you should know that you'll most likely pay more for them, they may be harder to find, and they may not work correctly in your wireless fence of choice. As this is a wireless system, it is going to be relatively easy to install without the use of additional tools like hammers or ties. You can get your wireless fence up and running by taking it out of the box and setting it up with your computer and the manual, and this typically takes under one hour. 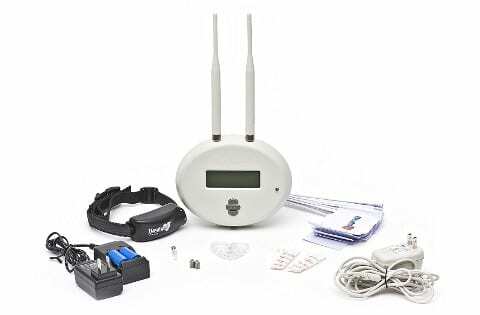 Your wireless fence dog collar is another important piece to ensure that your dog stays safe and sound inside of their wireless fence. The fence collars are very similar to dog training collars and bark collars. Many dogs are very energetic and tend to run, fall, and tumble around as they go about their days. This can be very hard on any collar, and this is why it is so important that your wireless fence dog collar is made of durable materials. If you're trying to decide between two different systems and you have a rambunctious dog, look at the collar's build. If it seems weak and flimsy, you may want to skip that fence altogether because it'll be useless if your dog breaks the collar. Your wireless dog fence will use an electric signal to operate, and it should have a built-in failsafe in the event of a power surge or a storm. The lightning protection isn't there because your dog is prone to them, it's put in place as a countermeasure for the entire wireless fence system. If static electricity builds up in your system, you want a fencing system that is going to be able to counteract it, so the entire thing doesn't overload and shut down. Should this happen, the fence will be rendered useless, and your dog will be free to roam around as they please. Today, many wireless dog fence systems are waterproof, buy it is still a good idea to look at the packaging to double check. Although this may seem irrelevant to anyone who lives in a dry climate, it's still an important feature. As electricity and water simply don't mix well together, the last thing you want is for your system to short circuit and be useless because of one accidental meeting with water. A collar that comes equipped with an option on/off feature can be a very useful tool when you're training your dog where the boundaries are to their new wireless fence system. If you find that they're getting far too many shocks, you can switch the collar off for a while to give your dog a short rest period before you continue to show them where the boundaries are. 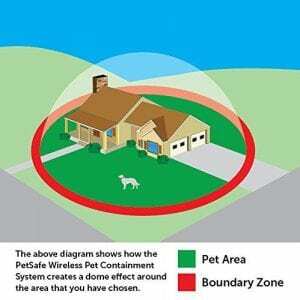 The first wireless fence on our list is by PetSafe, and this wireless fence covered a huge 0.5 acre span. This system allows you to quickly and easily adjust your pet's boundaries by up to 90 feet in all directions. The collar itself is waterproof, and it has five different shock levels plus a tone-only mode that is the perfect training device to teach your dog the boundaries. You can choose from three different systems, and the largest system comes with an additional receiver collar that is adjustable from neck sizes six to 28 inches. 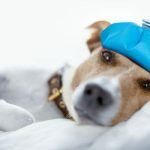 Your dog will hear a warning tone as they come close to the boundary, and should they cross the boundary the collar will transmit a shocking stimulation for 30 seconds before it shuts off for five minutes and repeats the cycle. People who purchased this wireless fence said that it was a great training tool because the five levels and tone-only options were perfect for teaching their dogs were the boundaries are. They also like the fact that the system comes with a low battery warning light. The second wireless fence system comes from Perimeter Technologies, and it has five different correction levels. The system is also entirely waterproof so you won't have to worry about it if it gets wet. This system also comes with two rechargeable batteries, and it has an advance wire-free base station you can set up in your home. The signal chip will link your dog's collar with the base station, and it has a durable nylon collar that is more prone to stand up to wear and tear. This system comes with 50 boundary flags so you can quickly and easily establish the perimeter for yourself and your dog. The base of this unit comes acts as a smart station, and it has a variety of options you can set with the push of a button. People who purchased this wireless dog fence said that they liked the fact that this unit was very easy to operate. However, if you have a metal roof or a metal door, it'll interfere with how well the system operates. The Havahart Wireless fence comes with a control area that extends up to 11 acres. It is very easy to install, and the base of this system will alert the owner if your dog breaches the fence's boundary. You can have two dogs at a time on this system, and you can have separate settings for each collar that allow you to set different static levels. The waterproof collar fits dogs with neck sizes that range from 14 to 26 inches, and the dog must weight at least eight pounds. There is also a built-in safety feature that stops correcting your dog after the first 30 seconds. Additionally, if your dog is on its way back to the boundary the collar won't correct them on the way. People who bought this product loved how easy it was to set up, and they also liked the fact that it came with such an extensive range. They didn't like that it has a weight limit and that their dog has to be at least eight pounds to use it. This wireless fence has an adjustable range that goes up to 105 feet in all directions from the fence's base. You can also contain an unlimited number of dogs as long as you purchase additional collars. This system has a five-level static setting that includes a training mode that uses tone-only setting so you can teach your dog the fence boundaries. This wireless fence system is portable so you can take it with you if you like to travel, and it sets up easily and quickly. You can use this on your dogs from five pounds and up that have neck sizes that range from six to 28 inches. The system also has rechargeable batteries that can last up to three weeks on a single charge. People who bought this wireless pet system liked how easy it was to set up, and they liked that they could have an unlimited number of dogs on the system. They didn't like that system didn't seem to cover the entire range it advertised. Now that we've gone over the best wireless dog fence reviews, our winner is the PetSafe Wireless Fence Pet Containment System. We chose this system because it is durable, waterproof, and very user-friendly. This wireless dog fence will also keep your pet safe and contained as they roam outside, and it is portable. It also covers an area up to 90 feet in all directions, and it has a built-in safety feature to save your dog from over-correction measures if they cross the boundary.